Conditions have looked good this week and this has encouraged a few club members to head out for a cast but with no success. 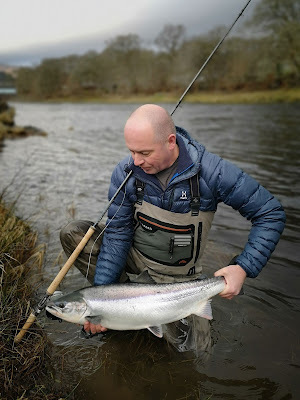 Today, though, Steve Watt landed a superb fish of 13lbs, caught on the fly on Port-na-Craig bank this morning. Catches usually pick up from about now and hopefully we won’t have to wait too long for more success.